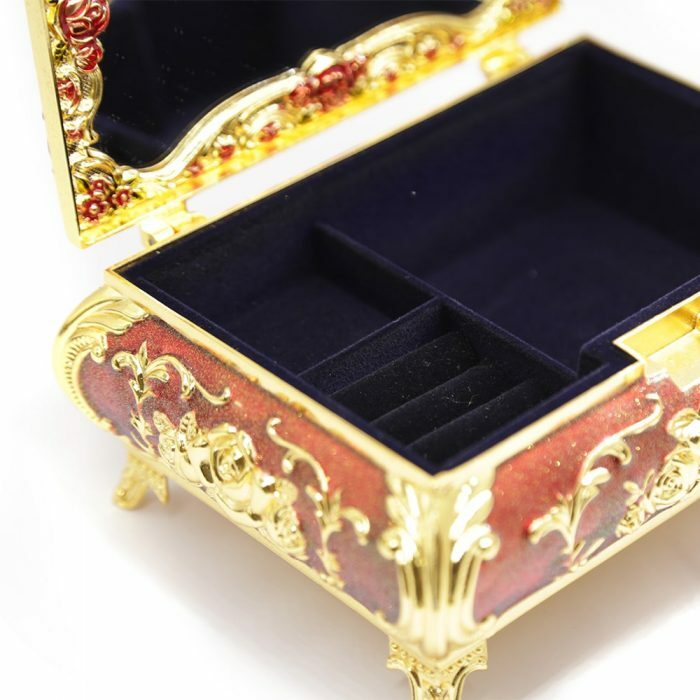 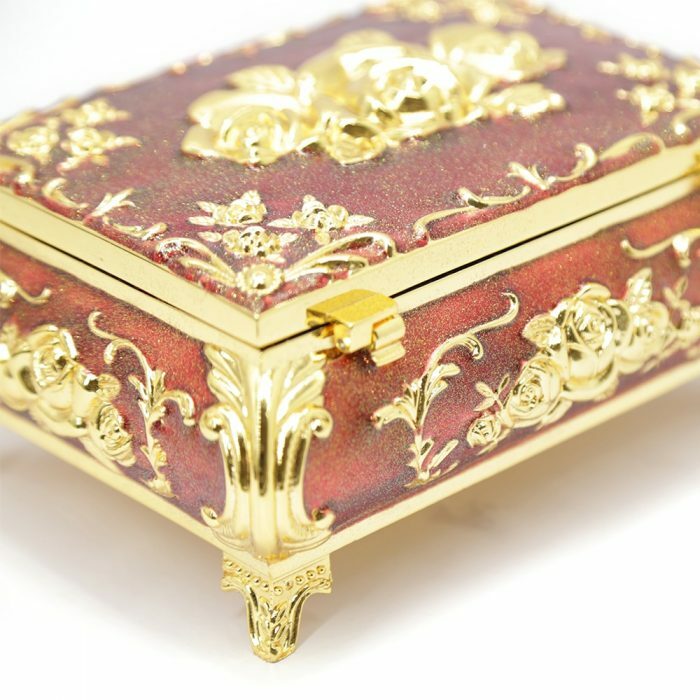 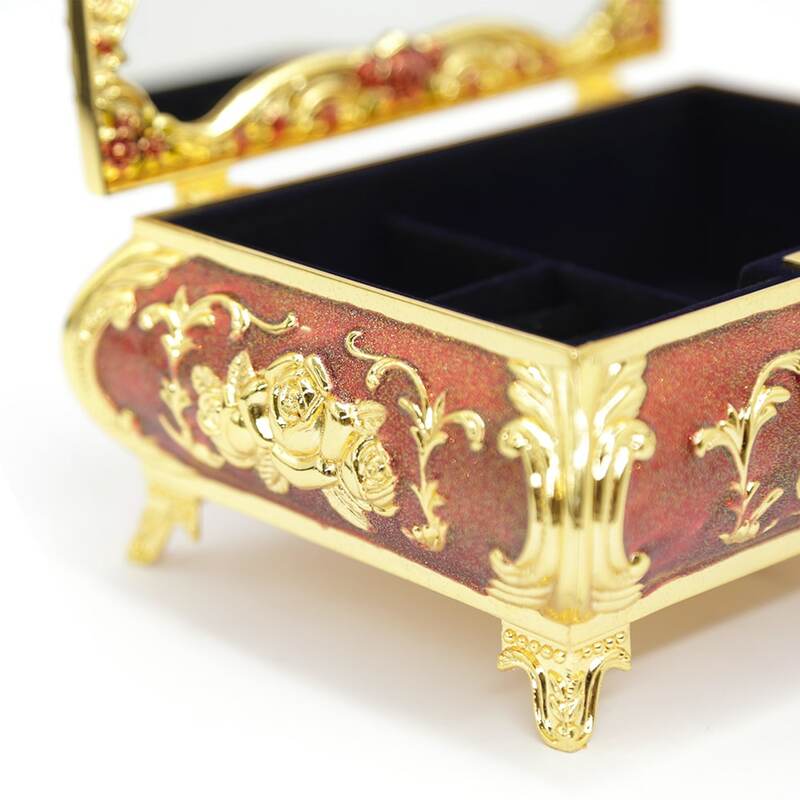 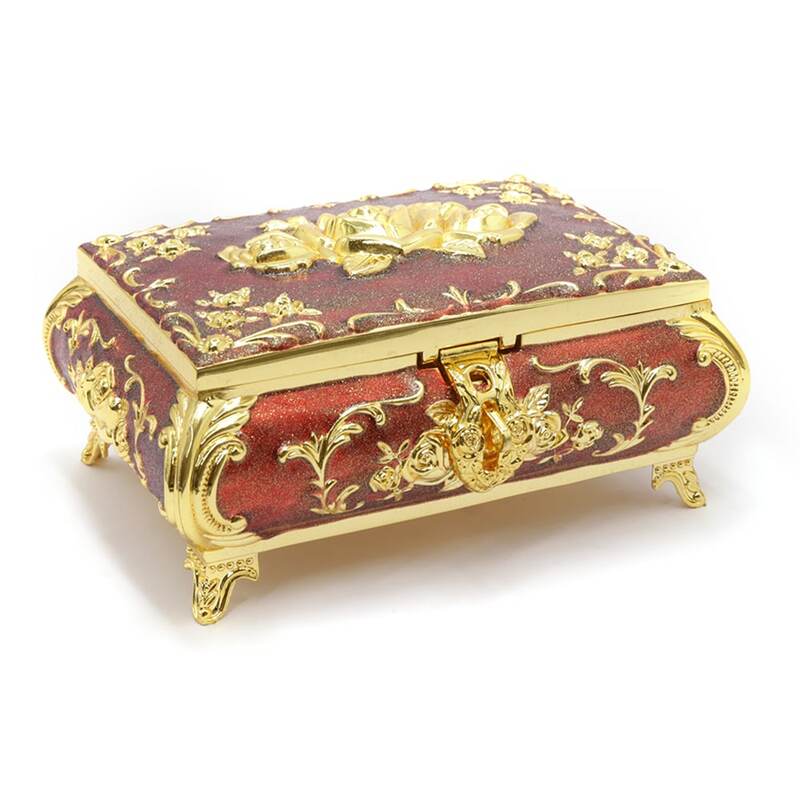 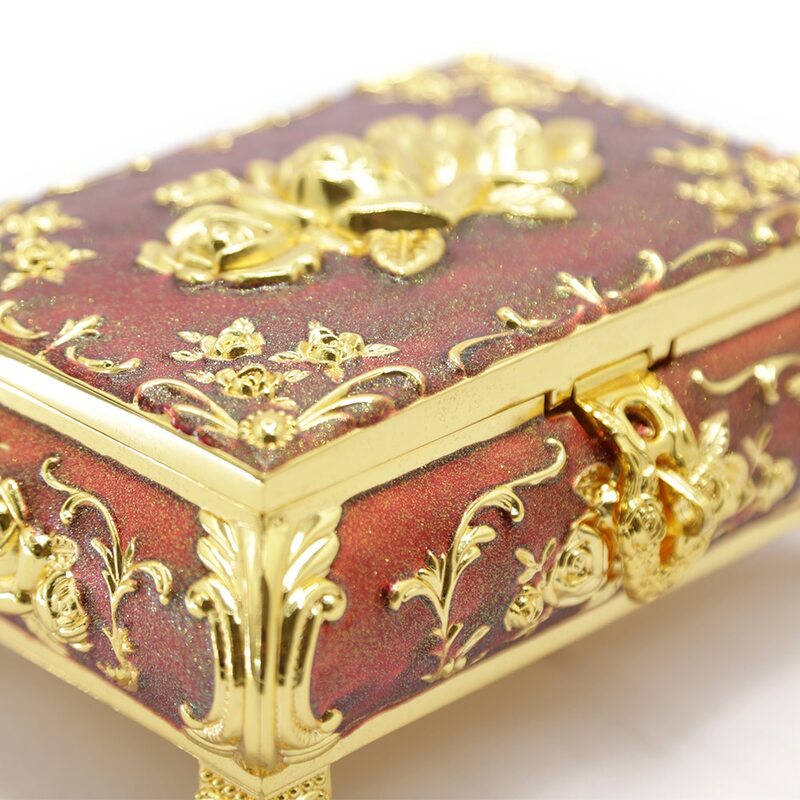 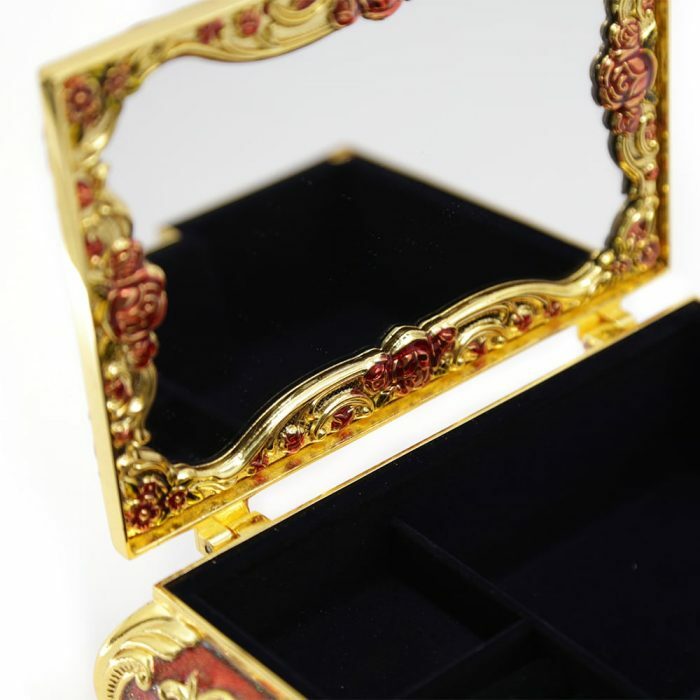 This Red European Princess Jewellery Box is nothing but elegant and stunning. 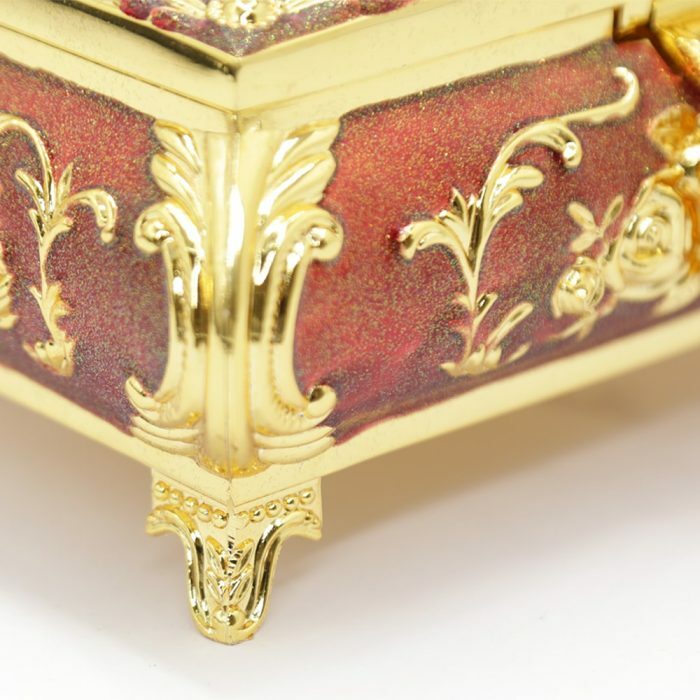 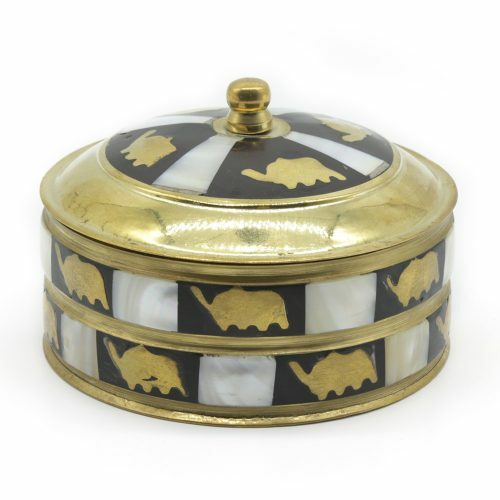 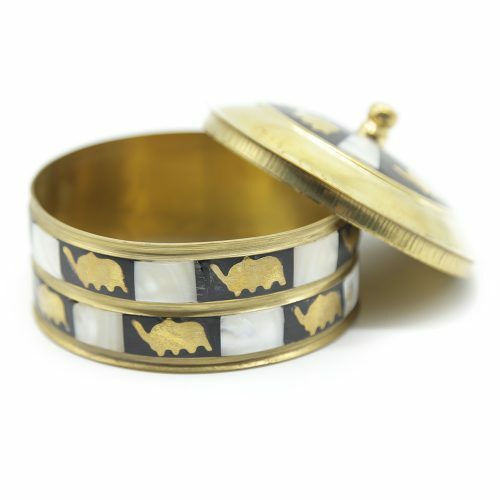 It has an intricate golden swirled design across the lid and legs. 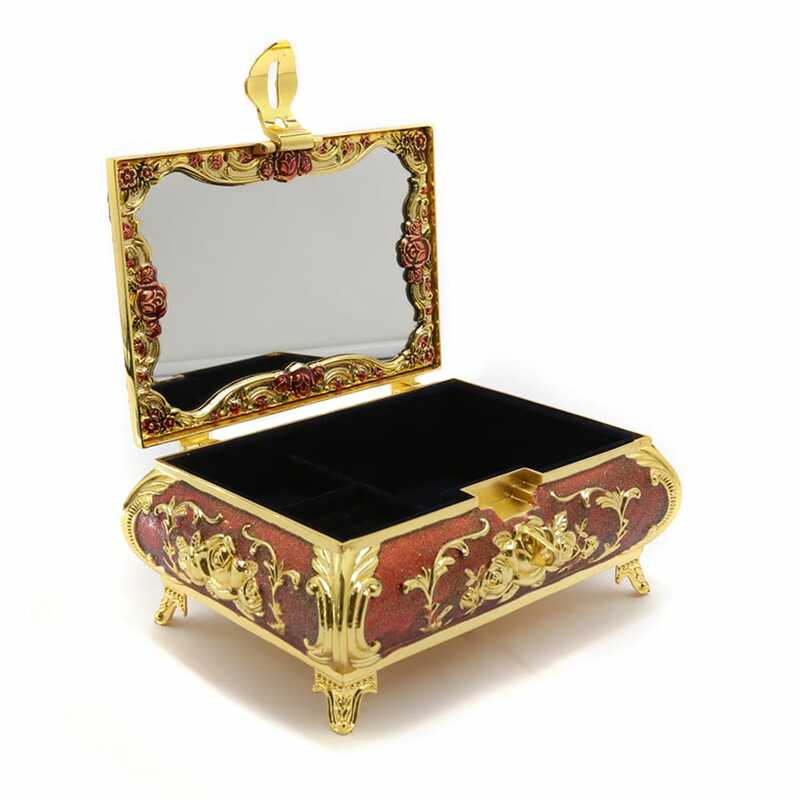 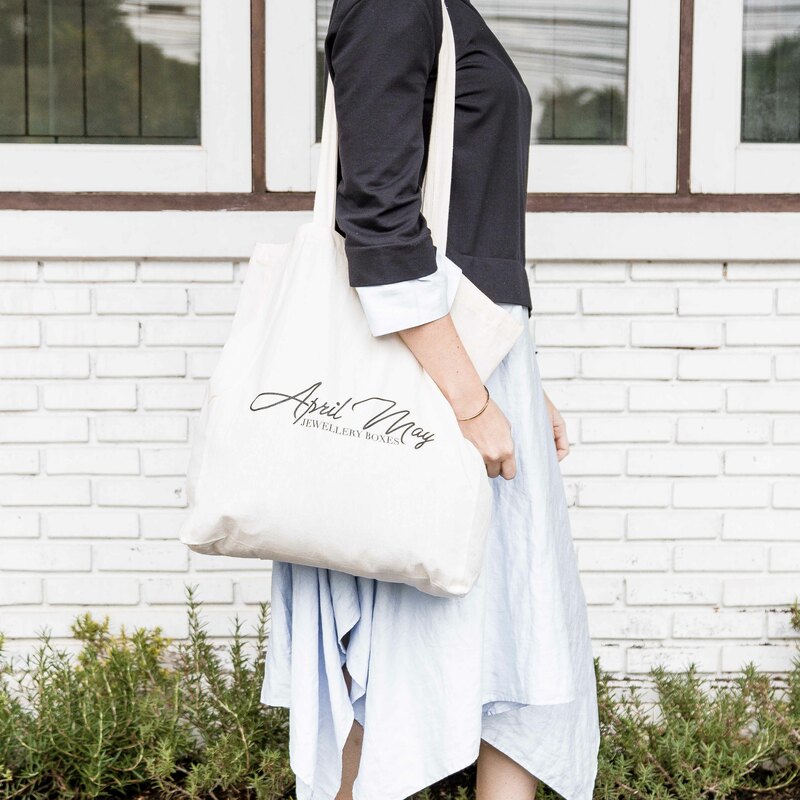 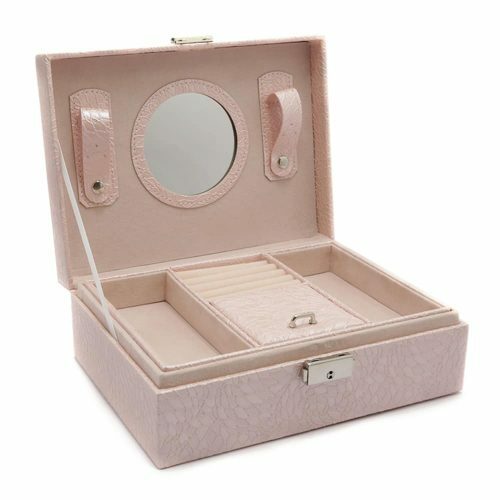 When opened, it features a large mirror and a navy velvet interior with 3 compartments. 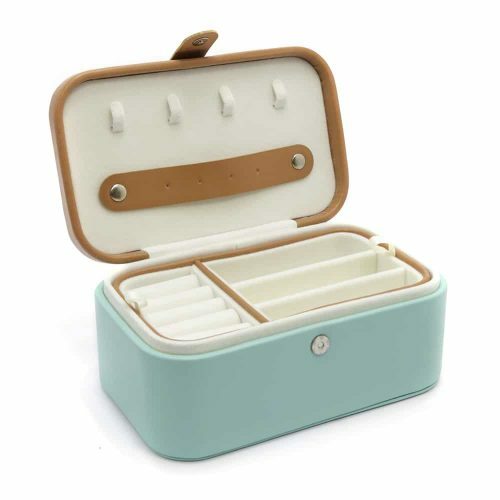 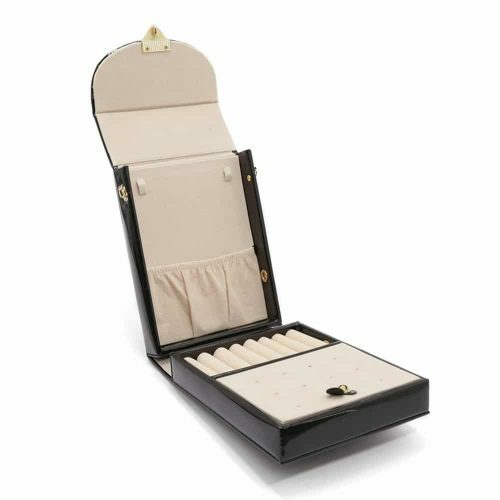 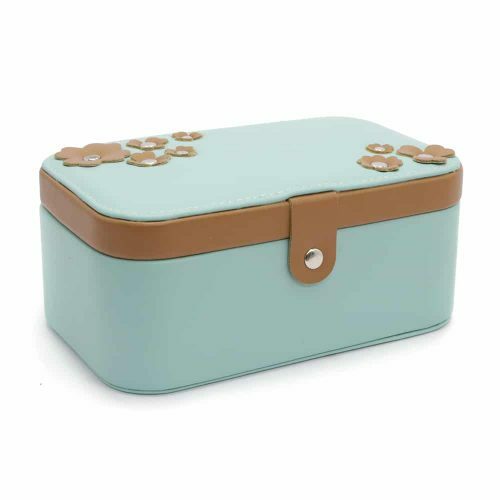 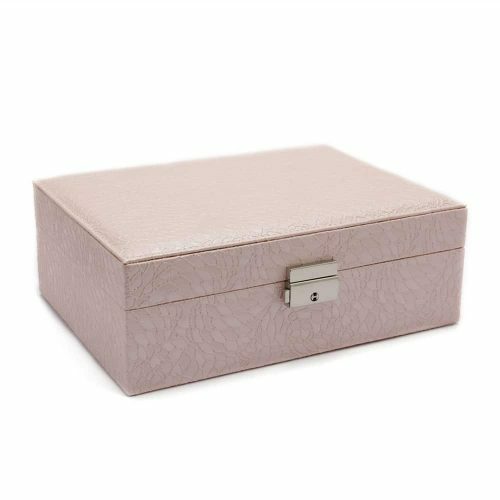 This box makes a perfect gift, an addition to your room or jewellery collection.